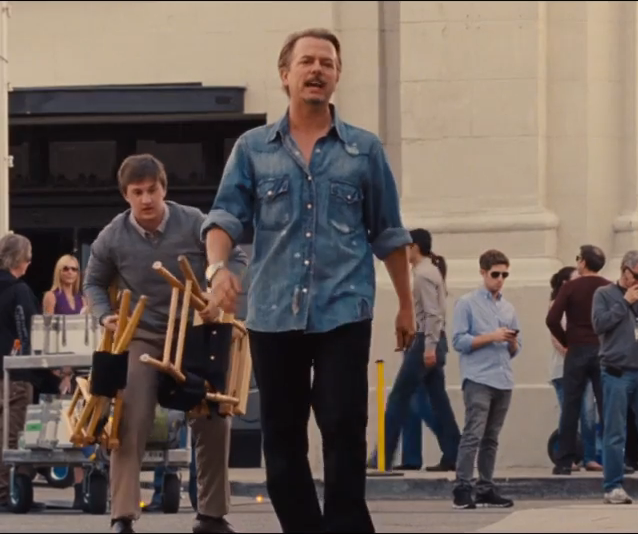 Mark Wahlberg was executive producer of the Entourage TV show, so it makes sense that he would appear in the movie. We hope he has a big role! Billy Bob Thornton is looking slick with his dyed chestnut-colored hair. He plays a financier who may be funding Vince’s new film. Rapper T.I., whose real name is Clifford Joseph Harris Jr., makes an appearance, but it’s unclear if he’s playing himself or a character. 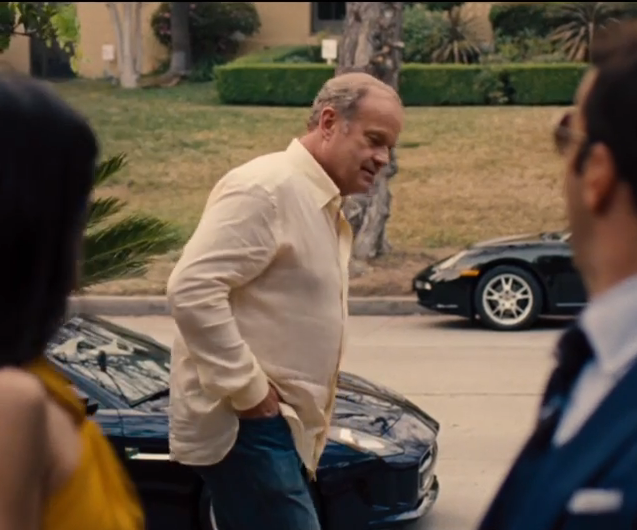 We’re excited to see that five-time Emmy winner Kelsey Grammer is joining the party. 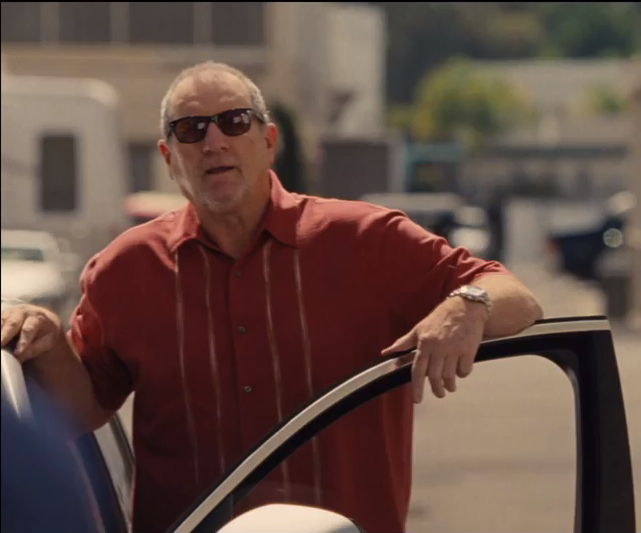 The super-funny Ed O’Neill seems to be taking a break from his hit show Modern Family to appear in the film. 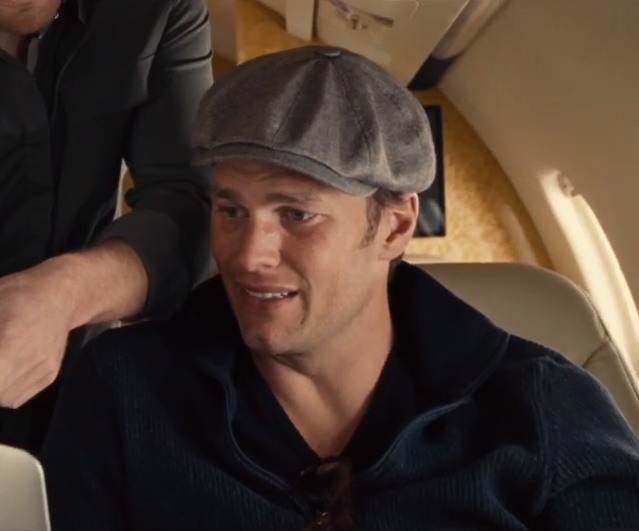 Even the quarterback for the New England Patriots, Tom Brady, is getting in on the action. Lovely British actress Alice Eve plays Sophia, who may in fact be Vince’s (Adrian Grenier) love interest. I mean, we last saw them fly to Paris to get married… but did they really? You may know him best for playing the Winklevoss twins in 2010’s The Social Network. Armie Hammer is also making a cameo in the film. 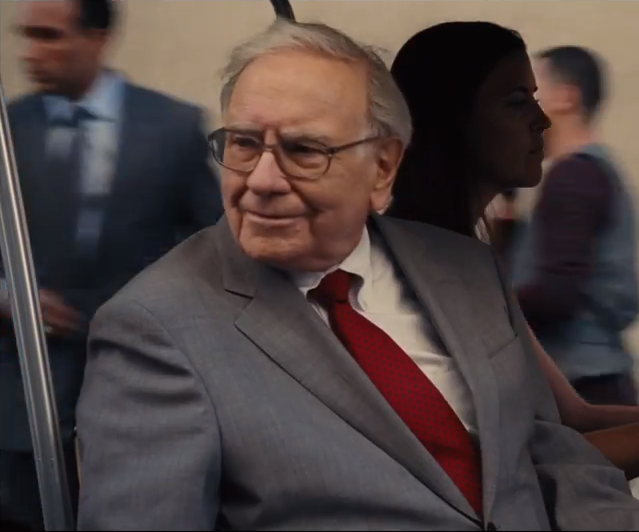 While he made a brief appearance in TV’s The Office, gazillionaire Warren Buffett seems to have caught the acting bug. We can’t wait to see what he does in the film. Judging by this picture, David Spade seems to working on the same studio lot as Vince (Adrian Grenier). 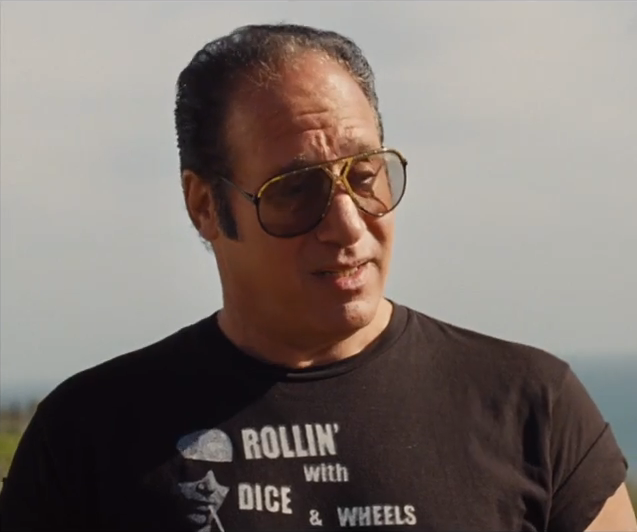 Considering the controversial comedian Andrew Dice Clay played himself on the Entourage TV show, it makes sense that he’d come back for the movie. It appears that Lloyd (Rex Lee), is getting married! 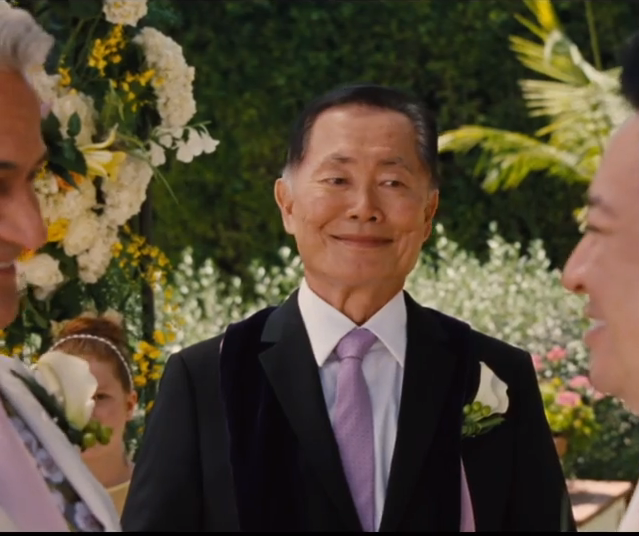 We can’t think of anyone better than George Takei to perform the ceremony. 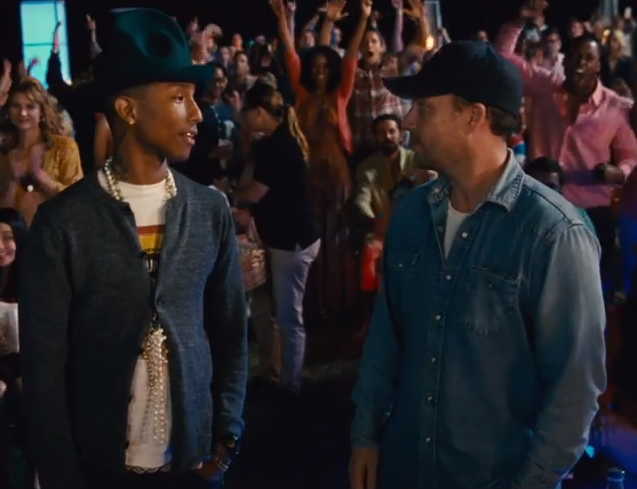 We can only hope that Pharrell Williams is providing some of the music for the soundtrack. 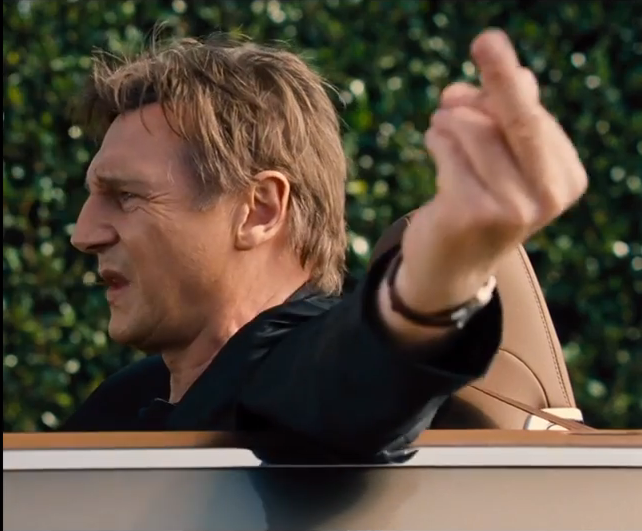 From the looks of things, it seems like Liam Neeson is having a very bad day. Model and actress Emily Ratajkowski rose to fame when she appeared in the Robin Thicke music video “Blurred Lines.” We can only wonder whose love interest she’ll play in the film. The boy who once saw dead people, Haley Joel Osment, plays the role of Travis in the Entourage movie. We think Seattle Seahawks quarterback Russell Wilson looks great in that tank top! We can only imagine that Vince and the gang were drooling over the gorgeous Jessica Alba the day she was on set. 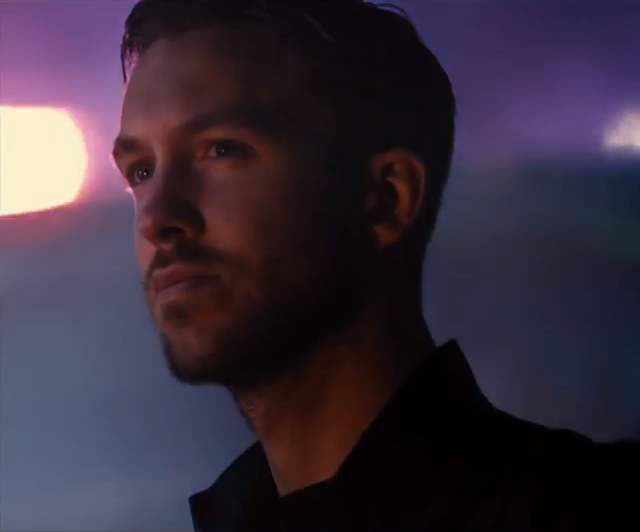 Scottish singer/songwriter Calvin Harris seems to be down to party with Vince and the crew. Investor Mark Cuban takes a break from Shark Tank to hang with the newly svelte Turtle (Jerry Ferrara). We loved Gary Busey when he appeared on Celebrity Apprentice! We can only guess what kind of trouble he’s getting into in this movie.